Safe Sitter® teaches young teens how to practice important safety skills, how to handle emergencies, and how to treat illnesses and injuries. SCRMC is hosting a class on Tuesday, July 31st at South Central Place in Laurel. 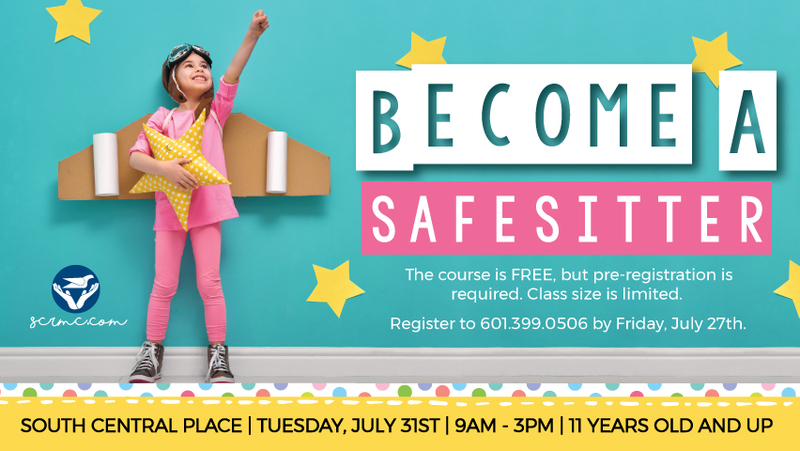 For more information or to register your child today, please call 601-399-0506 or email kvanderslice@scrmc.com. The course is free, however registration is required. This program is funded by South Central Health Care Foundation.